•Above-ground crops: 14, 15, 19, 20, 23, 24. •Below-ground crops: 1, 4, 5, 9, 10, 27, 28, 31. •Control weeds: 2, 3, 21, 22, 29, 30. •Prune trees & shrubs: 6, 7, 8, 16, 17, 18, 25, 26. 3. Vegetables: Beet, broccoli, Brussels sprouts, cabbage, carrot, cauliflower, celery, collards, kohlrabi, lettuce, mustard, onion, peas, potato, radicchio, radish, rhubarb, roquette, rutabaga, spinach, strawberry, Swiss chard and turnip. 4. Flowers: African daisy, alyssum, angelonia, ageratum, begonia, black-eyed Susan, blue daze, calendula, candytuft, celosia, chrysanthemums, cleome, coleus, cornflower, cosmos, dianthus, dusty miller, gaillardia, gazania, geraniums, gerbera, heliotrope, hollyhock, impatiens, larkspur, lobelia, nicotiana, pentas, petunia, salvia, snapdragon, sunflower, sweet pea, verbena and zinnia. 5. Herbs: Anise, basil, bay laurel, borage, cardamom, chervil, chives, coriander, dill, fennel, garlic, lavender, lemon balm, lovage, mint, nasturtium, oregano, rosemary, sage, sweet marjoram, tarragon, thyme and water cress. 6. Bulbs: African lily, agapanthus, amaryllis, anemone, bulbine, calla, crinum, day lily, gingers, gladiolus, pineapple lily, rain lily, society garlic, spider lilies, walking iris, watsonia. Refrigerate crocus, daffodils, hyacinth, narcissus and tulips for forcing. 7. 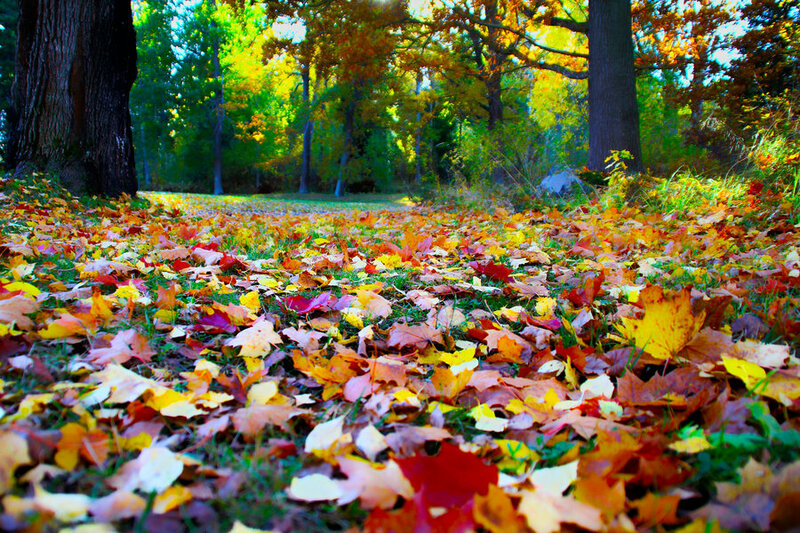 Lawns need a fall feeding to regain their vigor and good green color. 8. Select a low phosphorus lawn fertilizer made for your lawn type. 9. October is the last feeding for bahia, centipede and zoysia lawns this year. 10. Lawns that continue a yellow look may regreen with an iron or minor nutrient application. 11. Weeds have invaded many lawns; control with appropriate herbicides or replace with new sod. 12. Herbicides may not control all weeds; pull, dig or use non-selective spot sprays as labeled. 13. Fill bare spots in lawns left from summer pests with sod or plugs. 14. Seeding time for bahiagrass is over; delay rye seedings until late November. 15. Have the soil acidity tested and adjust the pH if needed. 16. Chinch bugs and sod webworms can linger into fall; control as needed. 17. Water turf when it shows signs of moisture stress. 18. Adjust irrigation systems to water lawns separately from other plantings. 19. Trim grass away from sprinklers and adjust them to ensure proper operation. 20. Use soil aeration in compacted and poorly-drained soils to encourage better root growth. 21. Continue mowing to maintain proper turf height; keep mowing height the same year-round. 22. Change the oil and air filters of gas-powered equipment for fall. 23. Sharpen and balance mower blades. 24. Use mulch or ornamental ground covers in areas where turf won’t grow. 25. Complete plantings of warm-season crops in early October. 26. Use large transplants of tomatoes, peppers and eggplants to get a fall crop. 27. Tomatoes begin setting and holding their fruits early to mid-month. 28. Add flowers to vegetable gardens to attract pollinators. 29. Prevent spray damage to pollinators; apply sprays when they are not active. 30. Caterpillars are feeding on cucumbers, melons and tomatoes; control with a natural spray. 31. Begin plantings of cool-season vegetables around mid-month. 32. Gardeners cramped for space can grow vegetables in containers. 33. Start seeds for transplants of broccoli, cauliflower and similar vegetables in containers. 34. Trellis or stake all tall-growing vegetables to help keep them pest-free and easy to harvest. 35. Add a mulch to the surface of the soil to conserve moisture and keep vegetables dirt-free. 36. Groom summer weary herb plantings and start new ones that prefer the cooler weather. 37. Most vegetables need a moist soil; water when the surface begins to dry to the touch. 38. Feed in ground vegetables every three to four weeks; container gardens weekly. 39. Fruit splitting on citrus trees is normal and may continue into the fall. 40. Help prevent citrus fruit drop and splitting; water once or twice a week during dry weather. 41. Give citrus its final feeding of the year during early October. 42. Till new garden sites and enrich sandy soils with garden soil, organic matter and manure. 43. Remove offshoots from pineapple plants to start new beds. 44. Start papaya seedlings for late winter transplants. 45. Add strawberry plants to a garden or build a pyramid for planting. 46. Delay pruning all fruit plantings until mid to late winter. 47. Speed up the composting process by turning the piles monthly. 48. Harvest maturing chayotes, cocoyams, dasheens and gourds. 49. Dig in the soil to check sweet potato plantings; most have roots ready to harvest. 50. Shrubs, ground covers and perennials are ready for a final fall feeding. 51. Use a slow-release fertilizer that can feed in-ground and container planting for months. 52. Most ornamental and shade trees do not need a special feeding. 53. Give palms a final feeding of the year with an 8-2-12-4mg fertilizer or similar product. 54. Palm diseases are prevalent; clean and sterilize pruners between palms. 55. Weeds are plentiful in ornamental plantings; pull or spot kill to prevent seeding. 56. Many plants have grown out of bounds; complete needed pruning early in the month. 57. Give hedges a final trimming. 58. Remove suckers and low limbs from trees. 59. Whiteflies and mealy bugs are major pests; systemic insecticides offer good control. 60. Poinsettia and azalea pruning time is over for this year except for out-of-bounds shoots. 61. Shield poinsettias and holiday cactuses from nighttime light starting mid-month. 62. A cool moist fall and winter is predicted; water only as needed. 63. Most established trees and shrubs can go a week or more between waterings. 64. Trim away limbs and weeds affecting the operation of sprinkler systems. 65. Check container plantings for plugged drainage holes; repotting may be needed. 66. Maintain a mulch under trees and shrubs; start the mulch several inches from trunks. 67. Determine tree needs and plant smaller-growing, wind-resistant species. 68. Check tree and palm supports to make sure they are secure but not damaging the plants. 69. Add fall plants to hanging baskets and container gardens. 70. Edge sidewalks and plant beds. 71. Replace soil in problem flower beds and planters. 72. Replant flower beds with cool-season annuals and perennials; delay pansies until November. 73. Divide perennial and bulb plantings. 74. Check rose foliage for mites and black spot; control as needed. 75. Give water lilies and bog plants a monthly feeding. 76. Plants reduce pollutants and create a pleasing atmosphere when added to homes and offices. 77. Foliage plants are often a good buy at garden centers during fall; replace the declining plants. 78. Many foliage plants have grown too large for their containers; repot as needed. 79. Groom outdoor foliage plants and begin moving them to a warm location. 80. Most foliage plants need a bright location but out of the direct sun. 81. Feed plants in bright light monthly. 82. Control insects on plants before moving them indoors. 83. Begin forcing amaryllis and paper white narcissus for indoor displays. 84. Reduce watering of holiday cactuses to when the surface soil is dry and stop feedings. 85. Make sure poinsettias, holiday cactuses and kalanchoes receive no nighttime light.